Crossroads Shih Tzu Rescue is a recent recipient of a 1-800-PetMeds Cares™ product donation through our shelter donations program. You can learn about how 1-800-PetMeds Cares here. 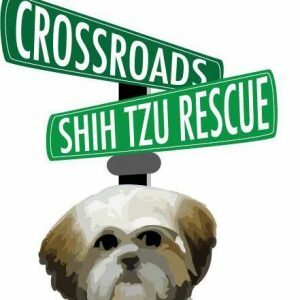 Crossroads Shih Tzu Rescue, established in 2008, is located in Tallahassee, Florida. Within only ten years, they have rescued 646 dogs. Their goal is to rescue as many needy dogs as their resources will allow, to rehabilitate them whenever possible in preparation for their new families and lives, to find the best possible forever homes for those that are adoptable, and to provide a loving and safe home environment for those who are not. At any given time, CSTR cares for about 35 dogs. This organization is currently making the transition into a sanctuary for small senior dogs. 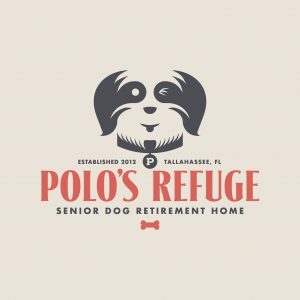 Since 2012, CSTR has operated the Polo’s Refuge Senior Dog Retirement Home program, and are in the process of expanding it and making it their primary focus. Polo’s Refuge provides a permanent home for senior Shih Tzu and other small breed dogs who were deemed unadoptable due to age, behavior, or health reasons. They remain in the program for the remainder of their lives for however long or short that may be. They are currently in the process of adding a second building to the program so they can double their capacity, and they hope to have it up and running this Fall. They currently have 18 dogs in the program. If you are interested in donating to the Polo Refuge expansion efforts, please visit their Facebook page. CSTR will also have a table at the Downtown Market in Tallahassee, FL on Saturday, March 31, 2018 from 9am-1pm. RescueConnect is a recent recipient of a 1-800-PetMeds Cares™ product donation through our shelter donations program. You can learn about how 1-800-PetMeds Cares here. RescueConnect, based in Wilmington, North Carolina, was founded in the summer of 2013. Since then, they have helped rescue almost 500 animals. While their focus is on dogs, they also support the cat overpopulation problem in eastern NC by participating in TNR (Trap Neuter Release) efforts to limit their population. Kittens or cats trapped during these efforts that are deemed socialized are then fostered and adopted locally in Wilmington. At any given time, RescueConnect has about 10 animals in their care. They typically rescue between 175-200 animals annually. Their organization’s model is to work with partners in more populated areas where their dogs are placed for adoption. 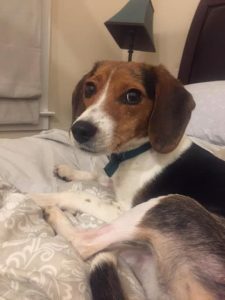 After coming to RescueConnect, all dogs receive spay or neuter, heartworm screening and treatment if needed, vaccinations and microchips. In addition to being a traditional rescue, RescueConnect also works to support locals who find homeless animals and people that find themselves with animals they can no longer care for. They help by covering the cost of some medical expenses, providing food, assist with containment problems though supportive fencing options, and generally look for ways to help people keep the animals they may otherwise take to a shelter or rescue. What makes RescueConnect unique is that they are a small team of people who all have full-time jobs and other personal responsibilities. Nevertheless, at the end of the day, they are all committed to making their community a safer, and better palace for animals to live. Their ultimate goal is to show people that by working together everyone can make an impact on the lives of animals in need and limit the number of euthanized family pets. 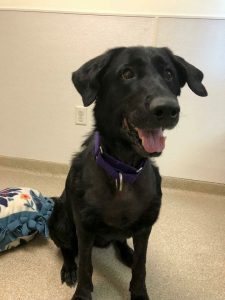 Susie was assisted by RescueConnect this year after being hit by a car. After a lot of hard work raising money to cover an expensive and extensive surgery, she is now healed and looking for a FOREVER family! She is up for adoption at Tall Tails Beagle Rescue in Maine. Friends of the Attleboro Animal Shelter is a recent recipient of a 1-800-PetMeds Cares™ product donation through our shelter donations program. You can learn about how 1-800-PetMeds Cares here. The Friends of Attleboro Animal Shelter (FAAS) is a non-profit, volunteer operated, Massachusetts based organization. Since 2003, FAAS has placed thousands of cats and dogs in loving homes in Attleboro and the surrounding area. At any given time, FAAS can shelter up to 20 dogs and 25 cats. They also house cats and dogs in foster homes which allows their animals to work on their behaviors and heal from any medical treatments. Foster homes are also the best place for nursing moms to feel safe while they nurture their youngsters. What makes FAAS unique, is their community Kibble Kitchen which commenced in 2017. They provide pet food to members of the community in need, which can make a significant difference in whether a cat or dog stays in their home or is surrendered to the shelter. FAAS is operated by a group of dedicated volunteers who take great pride in the adoption process. They are fully aware that it is easy to fall in love with all the cats and dogs at their shelter, but all animals and adoptive families have different needs. Thus, they have a thorough adoption process in place to properly match their pets with potential owners. The adoption process even requires applicants to submit veterinary/personal references. These measures are taken to ensure that each adopted animal will receive the love and care that they deserve once they leave FAAS. Each year, FAAS raises approximately $50,000 through their Fur Ball event! This year’s 15th annual Fur Ball will be held on March 10th, and all funds raised goes toward the shelter’s veterinary expenses. You can find out more about this event on the FAAS website.